I am excited to announce that the excellent New York City-based folk collective, Golem have been added to the After The Jump Fest FREE day show lineup. 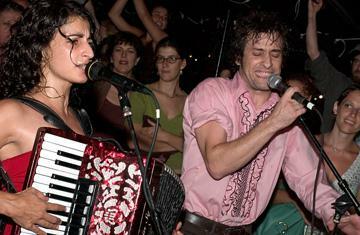 Golem play a blend of traditional Klezmer music with a distinctly punk rock edge. Their foot stomping folk music is the Eastern European dance alternative to LCD Soundsystem and just as likely to get you schvitzing. Listen to a recent interview with Golem on NPR’s Fresh Air. Previous Post Rilo Kiley Secret Show Tonight in LA!